New Babies on the Farm! 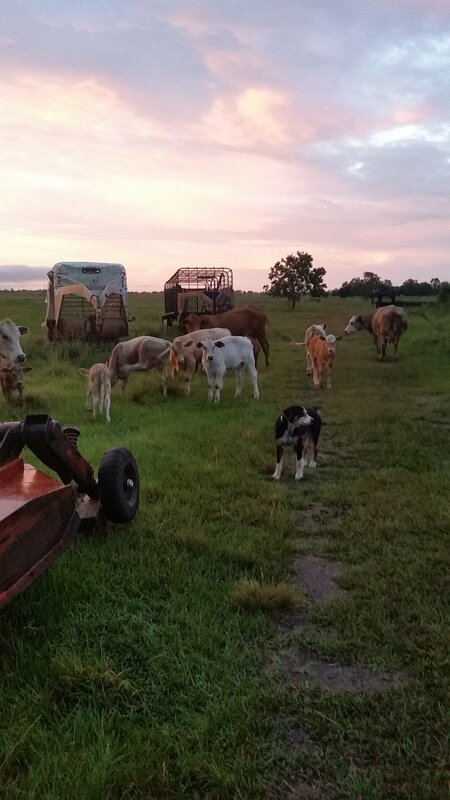 We've had quite a bit of growth on the farm this month as new babies have been born and then we bought four mama cows to add to the herd. Clifford & I drove north to pick them up from a really great guy, Todd. He had several mama cows he wanted to sell, most of which were just about ready to have babies. We picked out four that looked like they would be good mamas for grass-fed beef. 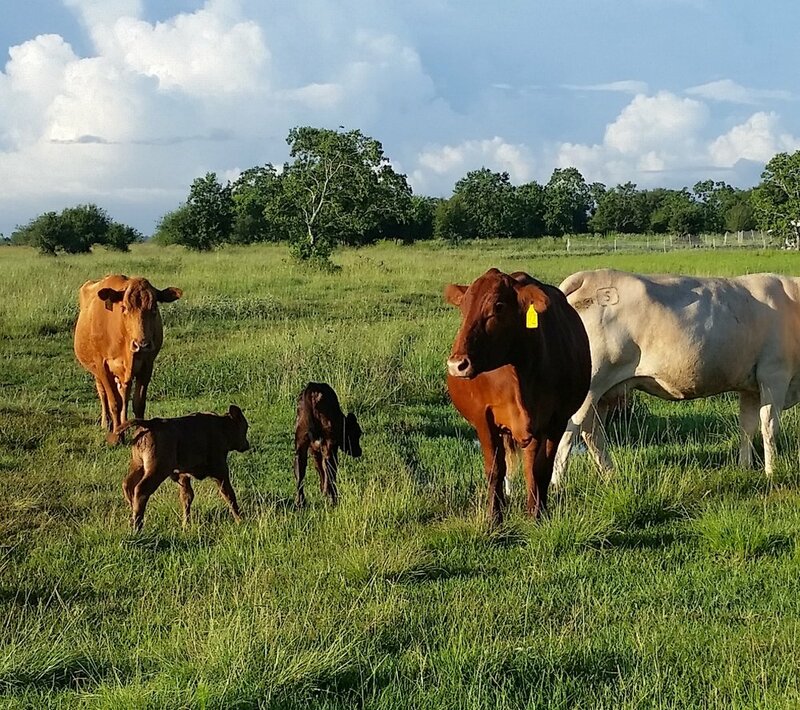 Several of our current mama cows are getting older, so we wanted to make sure we had younger mamas to keep the herd healthy. I really like all of these mama cows since they're really gentle and curious. They're used to being around people, so it was easy to load them all up in the trailer. One of the new mamas already had a calf, Trixie, who was born a week before we picked them up. Trixie was quite the trooper on her first trailer ride. She jumped right in and then proceeded to lay down for the ride home. Once we let them out in the new pasture, she started zipping around. The mamas walked the fences a few times and then settled right down. By that evening, they'd found the water and shade trees. It all went pretty smoothly! Trixie got a new playmate a week later when another mama gave birth on Sunday afternoon. I was in Oregon visiting friends, and I kept getting text updates on the mama cows - "she's pacing, she laid down, she's up, she's down, we see a foot, a new baby!!" Then, on Thursday, another mama starting pacing around, lying down, getting up, and pacing back and forth, so we knew another one was on the way. 'Baby watch central' with binoculars was set up on the couch so we could keep up with her progress through the front window. She finally had her calf in the afternoon. All mamas are being great moms! They're really good at stashing them in the weeds while they're grazing. We normally only get to see them in the evening when they all are grazing. We don't have names yet, so let us know your suggestions!